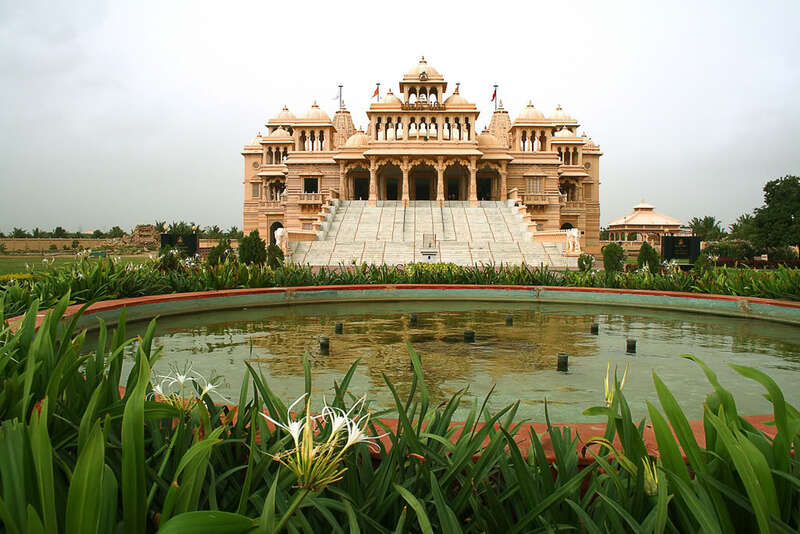 History of Bhuj: Bhuj, a town in the Kutch district, was a walled city in the past. But today only remnants of the city wall can be seen. There were once three large tanks in the town – Hamirsar, the biggest, Desalsar and Pragsar. Pragsar does not existBhuj anymore. The lake has been filled up and the land is now in the custody of the Indian Air Force. Desalsar is in a state of total neglect – buffaloes wallow in it and women wash clothes. originating in the Lakhi hills. Smaller tributaries joined this main canal. 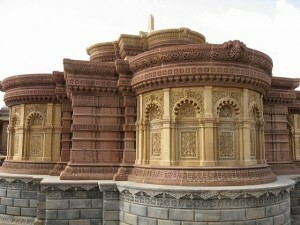 Due to Hamirsar, the water-table in Bhuj was well maintained. There were wells around the tank and water from them was used for drinking and other activities. Water would also be taken on bullock or camel carts to homes. Many houses situated around Hamirsar had their own individual dugwells. By Air: Bhuj is connected by air with Mumbai and Ahmedabad. The Indian Airlines is on the New Station Road. Indian Airlines and Jet Airways have daily flights to Mumbai. Passenger aircrafts l and at the air force base 3½ km north of the city limits. 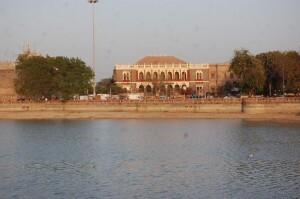 By Rail: Bhuj railway station is 1 km north of the city. A few trains pass through Bhuj and one has to go either to Palanpur (near Rajasthan border; 391 km) or to Gandhidham, which have good rail connections to important towns around this region. By Road: One can also get state roadways buses as well as private buses. There is good bus service for Ahmedabad (7-hour trip) and to other towns in Gujarat and Rajasthan. There are regular buses for villages around Bhuj. 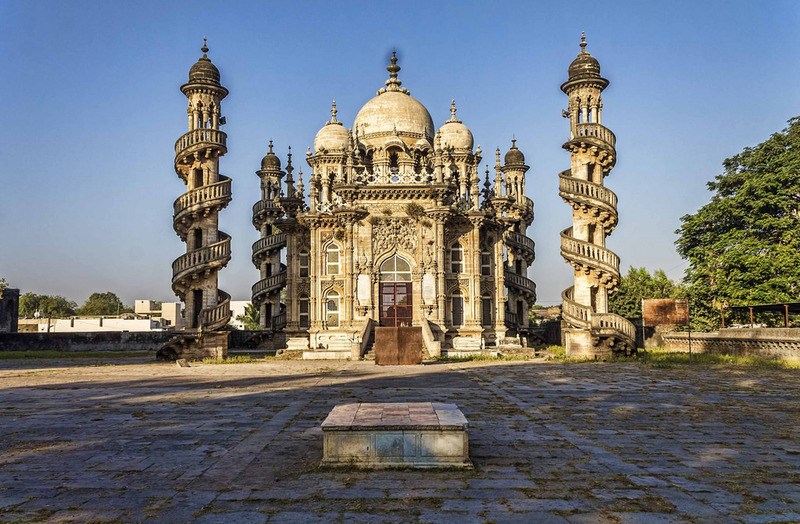 beacause of its gateways, old palaces, ornate temples and winding lanes. 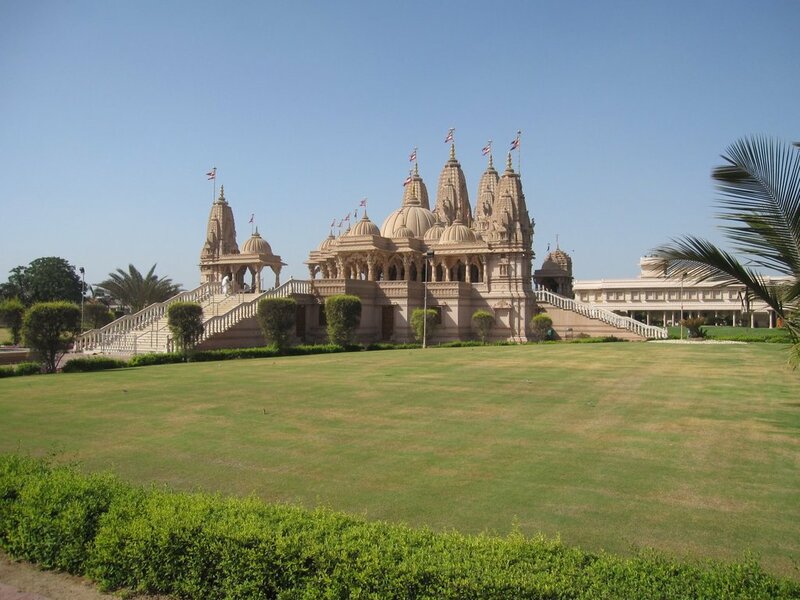 There are quite a few shopping centers that make Shopping in Bhuj quite easy. Bhuj The items on offer in the Bhuj markets include silver jewelry, gold jewelry and many other items. 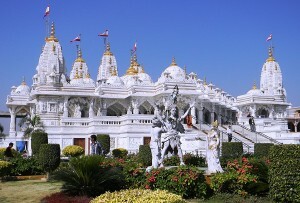 Tourists come from every corner of the world and from all over India for Shopping in Bhuj, Gujarat. Tourists should be good at bargaining because the bargaining skill will definitely be required. The shopkeepers dress up in traditional clothes. The shopkeepers purposely charge high prices because they know that the visitors will bargain. 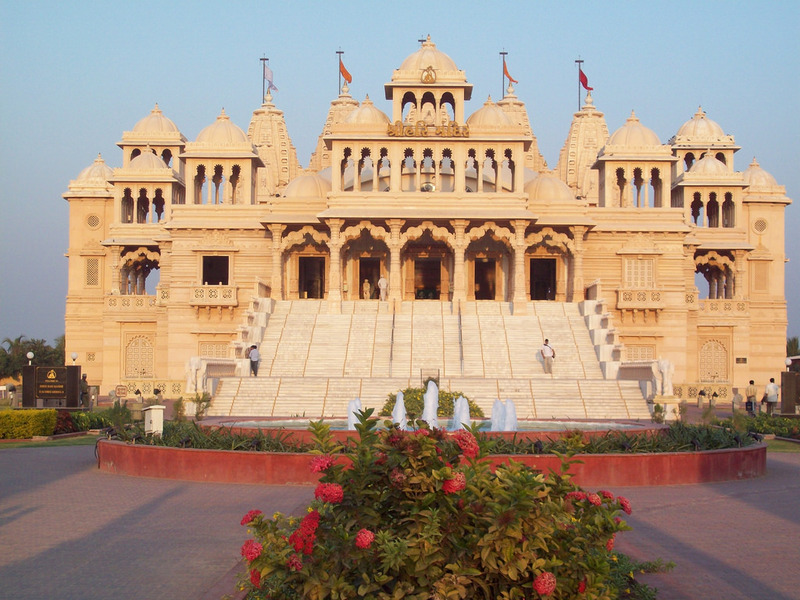 The bazaars in Bhuj follow the old traditional style of displaying goods and items. 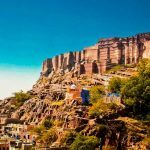 Bhavnath Mahadev Mela: The Bhavnath Mahadev Temple, situated at the foot of Mount Girnar in the city of Junagadh is the site of the Bhavnath Mahadev fair held for five days in February, during the festival of Mahashivratri. The Mahapuja of Lord Shiva takes place at midnight in this temple on the 14th day of the dark half of the month of Magh. When the puja (prayer ceremony) starts, Naga Bavas (naked sages) living nearby, move towards the fair seated on elephants, holding flags and blowing conch shells. It is firmly believed that Lord Shiva himself visits the shrine on this occasion. Visitors are served free meals by the organizers. Special stalls sell idols, rosaries or holy beads brought by vendors from Ayodhya and Mathura, utensils of brass and copper, sweets and fruits. 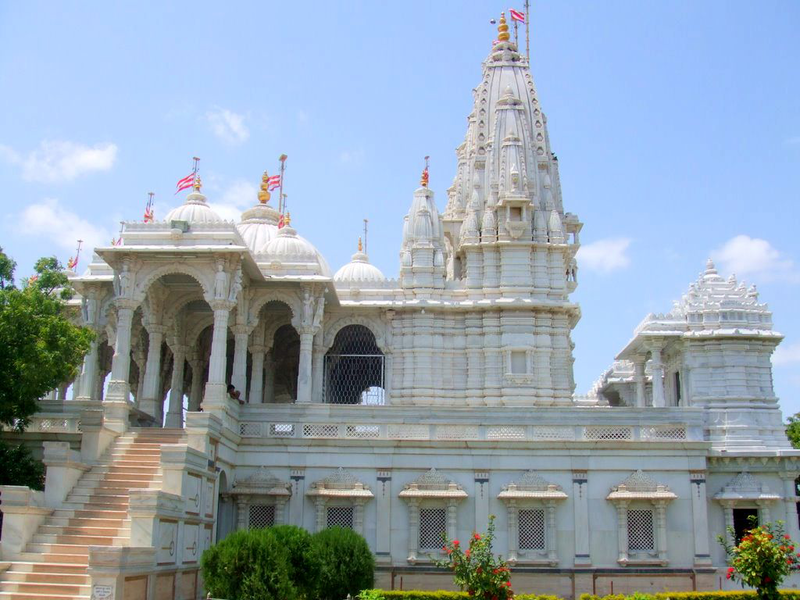 The Bhavnath Mahadev Temple is surrounded by many equally ancient and holy places. Collector officiates at it. Thousands of tribal people flock to Ahwa from all over the district, dressed in bright colours sounding the Shehnai and beating their drums. 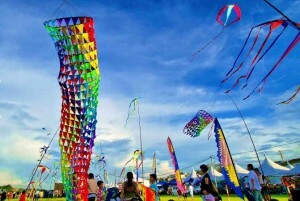 Folk dances, dramas and songs enliven the air during the festival. Chitra – Vichitra Mela: This fair, one of the largest, purely Adivasi (tribal) fairs attended by around 60,000 to 70,000 tribal people. 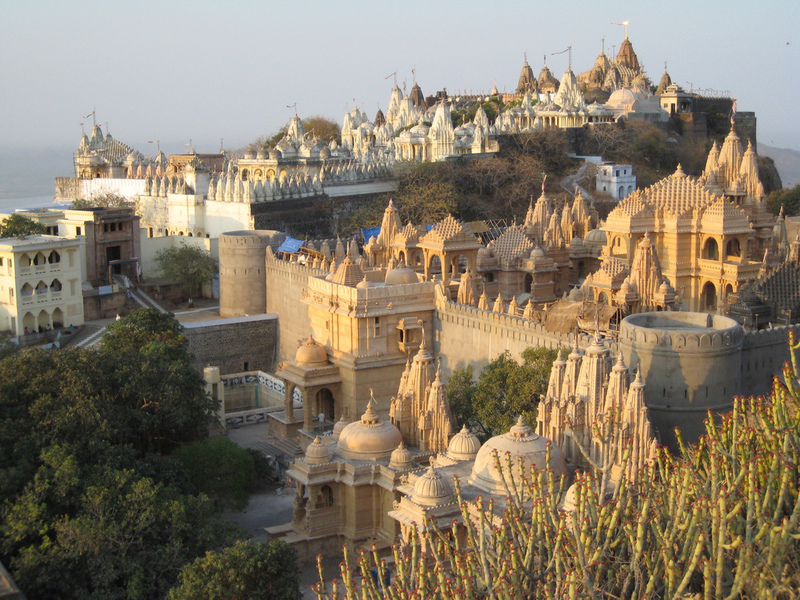 It takes place every year in the village of Gunbhakhari in Sabarkantha district, very near the borders of Rajasthan. It is held aBhuj fortnight after Holi, the festival of colours. 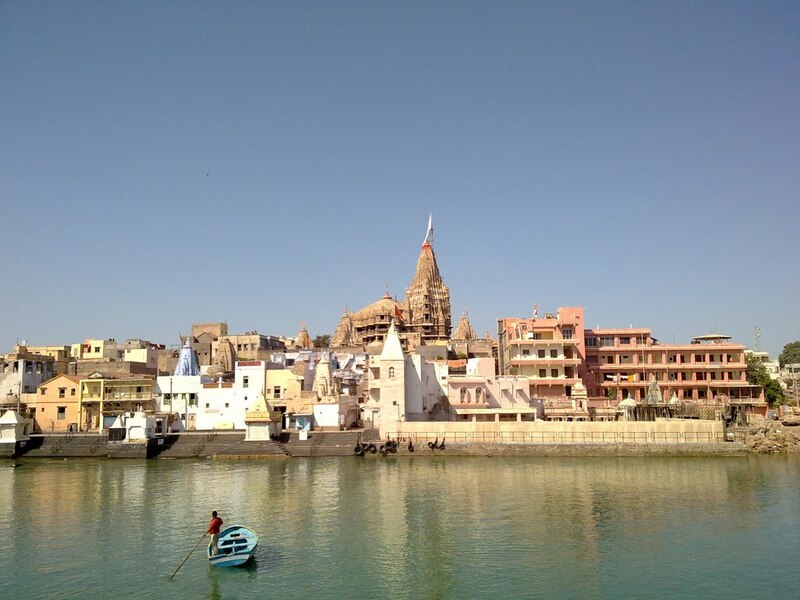 The site of the fair is attractive as the temple overlooks the rivers Sabarmati, Akul and Vyakul. 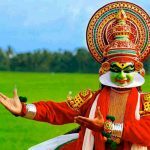 The name of the fair is derived from Chitravirya and Vichitraviraya, the sons of King Shantanu, who are believed to have lived here and been cured of diseases which afflicted them. The fair attracts large numbers of Bhils (tribals) who come from all the surrounding districts using every imaginable form of transport. The Garasis and Bhil tribals dress in their customary colourful costumes. The costume of the men generally consists of a blue shirt, dhoti and a red or saffron turban. Women don ghaghras (embroidered skirts) which have a circumference of as much as 20 yards, and are covered from head to foot with ornate and heavy silver jewellery. 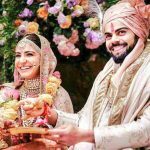 They use liquid kumkum (vermilion) to colour their cheeks and lips a brilliant red, while their eyes are outlined with kajal (kohl). Every group that comes to the fair carries its own drum making the atmosphere come alive with the incessant beat of numerous drums. The women sing folk songs, and everyone dances. The dancing and drumming continue for hours until everyone is exhausted. Over a hundred stalls hold food and drink, and sweets of various kinds. Silver ornaments can be bought and household articles as well. Here, as in other fairs, there is a giant wheel, and a merry-go-round which never cease to spin. 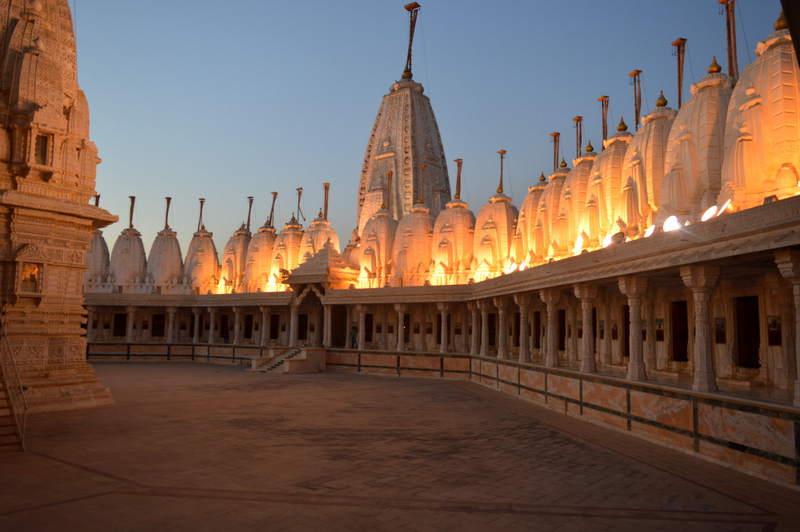 Dhrang Fair: Around 40 kms from Bhuj, it is known for the samadhi of the famous saint Menkan Dada who served the community with great love and dedication and won their devotion. He was supposed to be the incarnation of Lakshmanji. 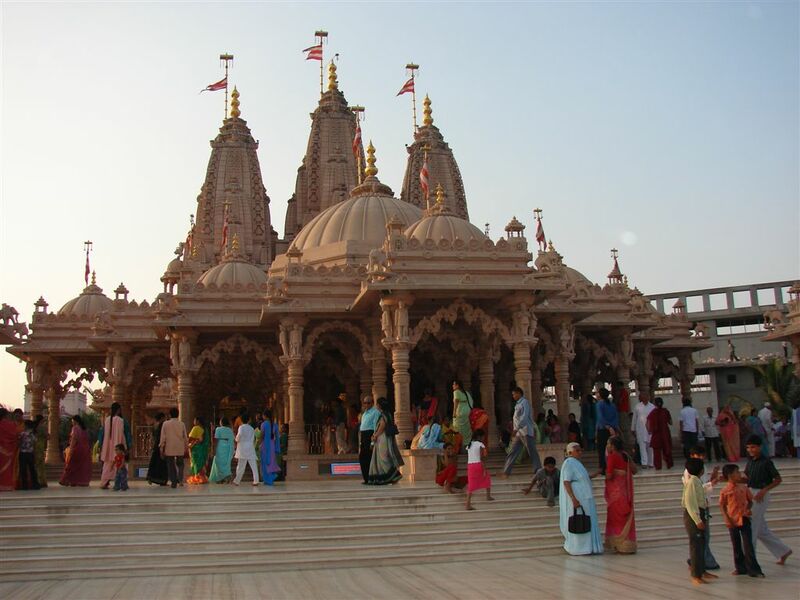 A large fair is held on Magh Vad when a large number of Dada’s followers from different parts of Gujarat and Rajasthan come to the Samadhi and participate in religious rituals. most well known annual fairs, held here during the first week of Bhadrapad (September-October). This fair is primarily a ‘marriage mart’ or ‘Swayamvar’ for the tribal youth of today who still visit Tarnetar, to find them a suitable bride. The tribal youth elegantly dressed in colourful dhotis, waistcoats and eye-catching turbans come to be chosen by village belles dressed in colourful finery. Like all-important tribal fairs, it is attended by tribes from the adjoining who indulge in dancing, competitive sports and other such forms of entertainment. There are over 300 stalls selling food, refreshments, exhibiting embroidery and cattle shows. The bachelors are usually identified by their large colourful embroidered umbrellas and their distinctive hairstyles. These umbrellas, which have become emblems of the fair, are embroidered Bhujby the tribal youth for over a year. The fair is held around the Trinetreshwar Temple dedicated to the three-eyed Lord Shiva, built at the beginning of the century. There is a kund (reservoir) here and it is popularly believed that a dip in its waters is as holy as a dip in the sacred River Ganges. 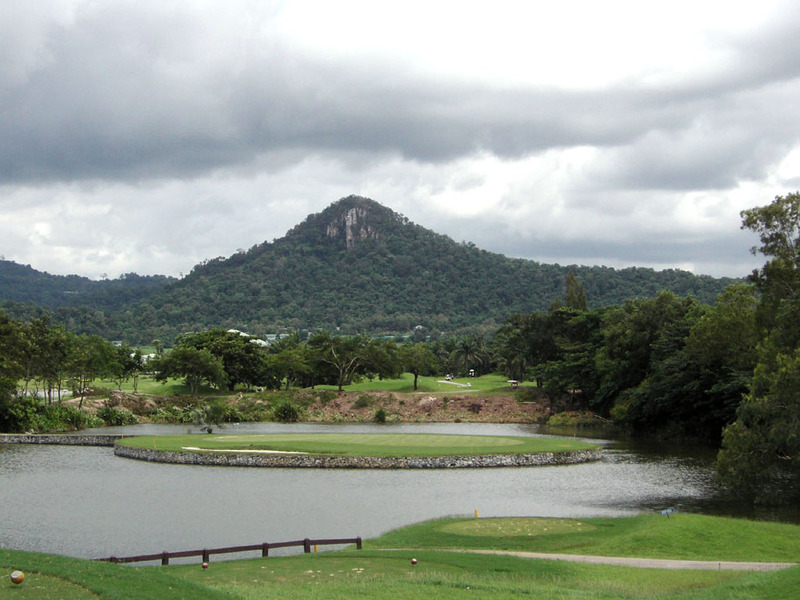 The reservoir is also known as papanshu (the destroyer of sins). Vautha Mela: This magnificent fair is held every year at Vautha, where two rivers, the Sabarmati and the Vatrak meet. Like most fair sites in India, this also has both mythological and current religious associations. The Vautha Mela site is 3 square miles in area. 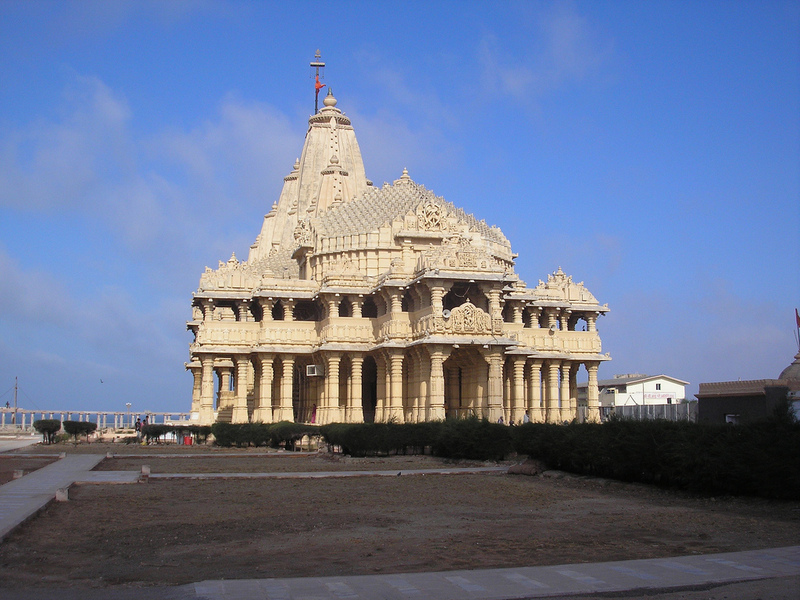 Legends hold that Kartik Swami or Kartikeya, the son of Lord Shiva, visited the site. This is why the fair is held during Kartika Purnima, the full moon night of the month of Kartik, corresponding to November. The site, also known as Saptasangam, is at the confluence of seven rivers. 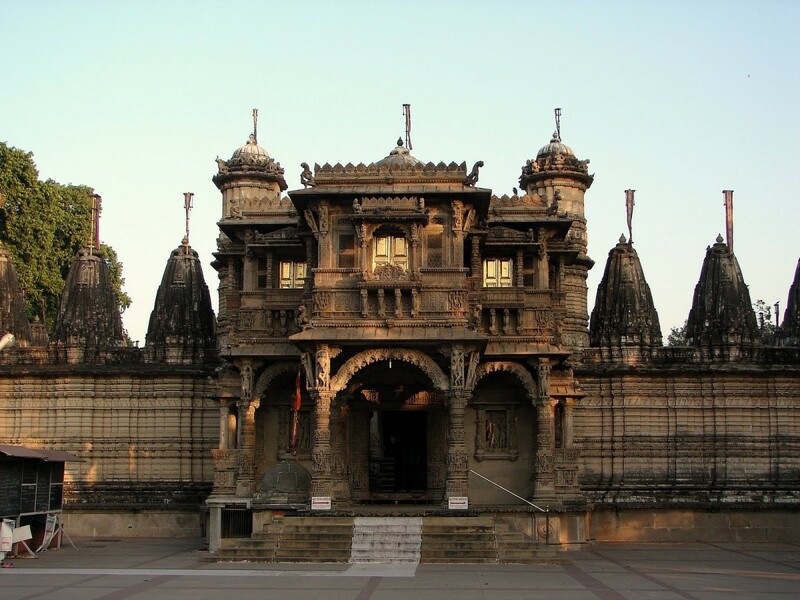 The most important Shiva temple here is the temple of Siddhanath. 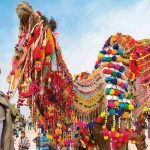 What is most significant about this fair is that it is the only major animal trading fair in Gujarat and is on par with the famous camel fair at Pushkar, Rajasthan. However the only animals traded here are donkeys. About 4,000 donkeys are brought every year for sale, usually by Vanjara (gypsy) traders. The pilgrims who visit Vautha during the fair are from several communities and include farmers, labourers and people belonging to several castes. 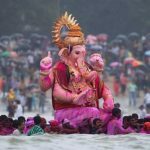 Shamlaji Melo: The Shamlaji Melo, also called the Kartik Purnima fair is held in the month of November every year and lasts for about two weeks. It is attended by almost two hundred thousand people from adjoining districts and even from Rajasthan. Devotees belonging to various castes and communities including the Garasias and Bhils throng this festival. TheseBhuj pilgrims come in groups, singing devotional songs and carry religious banners to have a darshan (worship)of the deity at the Shamlaji Temple. The Shamlaji Temple is a renowned Vaishnav Shrine and the deity housed here is known by various names included Gadadhar (bearer of the mace) and Shaksi Gopal. The fair is also popular with the tribal people of the area, particularly the Bhils, who revere Shamlaji, the deity they refer to as ‘Kalio Bavji’, the dark divinity. 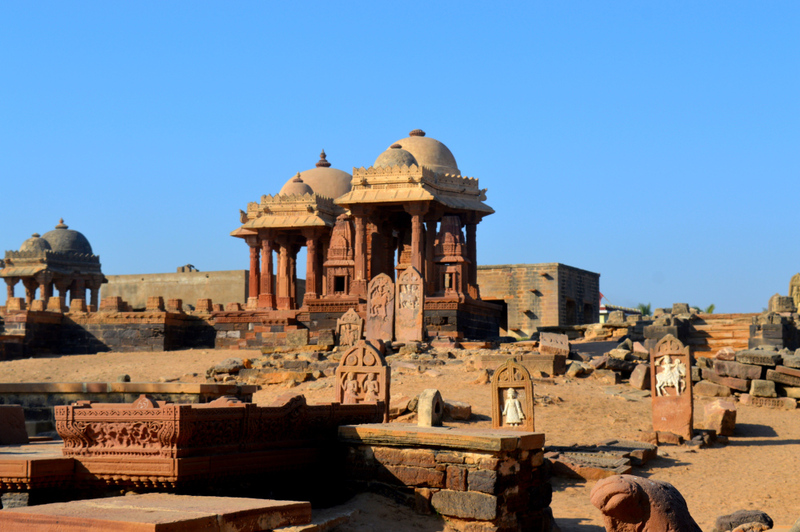 The temple is of great archaeological significance as it was built in the 11th century. Apart from a darshan of the deity in the temple, the pilgrims consider a bath in the river Meshwo essential.